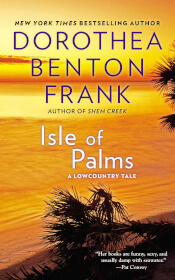 In her twentieth novel, Dorothea Benton Frank brings us back to her beloved island with an unforgettable story where the Lowcountry magic of the natural world collides with the beat of the human heart. 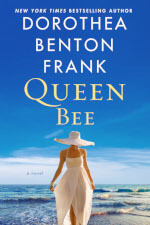 Queen Bee will be available May 28th, 2019! 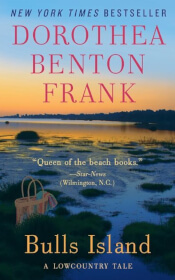 By Invitation Only is classic Dorothea Benton Frank - a mesmerizing Lowcountry Tale that roars with spirit, humor, and truth, and forces us to reconsider our notions of what it means to be a Have or a Have Not. 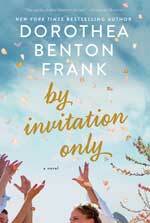 By Invitation Only is available everywhere books are sold. Order your copy today! 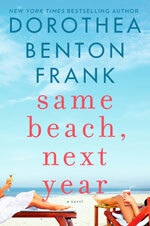 Sign up Today to get an exclusive peek at 'Same Beach, Next Year' available only to subscribers for a limited time! 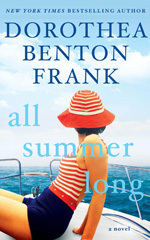 All Summer Long follows one charming New York coupleglamorous interior designer Olivia Ritchie and her husband Nicholas, a true southern gentleman from Charlestonas they are swept up into the world of the ultra-rich and travel the globe with a cast of zany eccentrics over one tumultuous, hot summer, and find themselves pondering the next step of their lives. This is a story of how plans evolve and lives change in unexpected ways, how even those who have everything are looking for something more to fulfill them and even the most successful can often struggle to get things together. It asks the ultimate question: can money buy happiness? 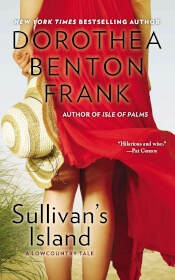 From Sullivans Island to Necker Island to the beaches of Southern Spain, we'll come to recognize the face of true love, the kind that deepens and endures but only because one woman makes a tremendous leap of faith. And that leap changes them all. 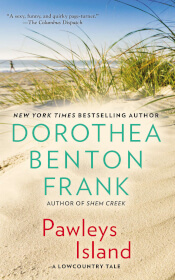 Dottie takes us deep into the heart of the magical Lowcountry where three amazing middle-aged women are bonded by another amazing woman's death. Best friends since the first day of classes at The College of Charleston, Ashley Anne Waters and Mary Beth Smythe, now 23 years old, live in Ashley's parents' beach house rent-free. Ashley is a gallery assistant who aspires to become an artist. Mary Beth, a gifted cook from Tennessee, works for a caterer while searching for a good teaching job. Though they both know what they want out of life, their parents barely support their dreams and worry for their precarious finances. While they don't make much money, the girls do have a million-dollar view that comes with living in that fabulous house on Sullivans Island. 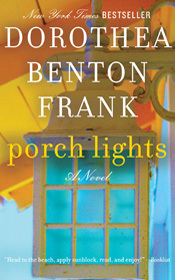 Sipping wine on the porch and watching a blood-red sunset, Ashley and Mary Beth hit on a brilliant and lucrative idea. With a new coat of paint, the first floor would be a perfect place for soireés for paying guests. Knowing her parents would be horrified at the idea of common strangers trampling through their home, Ashley won't tell them. Besides, Clayton and Liz Waters have enough problems of their own. A successful investment banker, Clayton is too often found in his pied-à-terre in Manhattanwhich Liz is sure he uses to have an affair. And when will Ashley and her brother, Ivy, a gay man with a very wealthy and very Asian life partnerever grow up? Then there is Maisie, Liz's mother, the family matriarch who has just turned eighty, who never lets Liz forget that she's not her perfect dead sister, Juliet. 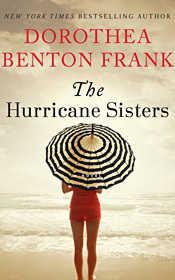 For these Lowcountry women, an emotional hurricane is about to blow through their lives, wreaking havoc that will test them in unexpected ways, ultimately transforming the bonds they share. Leslie Anne Greene Carter is The Last Original Wife among her husband Wesley's wildly successful Atlanta social set. His cronies have all traded in the mothers of their children they promised to love and cherish'til death did them partfor tanned and toned young Barbie brides. If losing the social life and close friends she adored wasn't painful enough, a series of setbacks shake Les's world and push her to the edge. She's had enough of playing the good wife to a husband who thinks he's doing her a favor by keeping her around. She's not going to waste another minute on people she doesn't care to know. Captivated by the island's alluring natural charms and inspired by colorful Lowcountry lorelively stories of Blackbeard and his pirates who once sailed the waters surrounding the Carolinas and of former resident Edgar Allan Poemother, daughter, and grandson will share a memorable, illuminating summer. 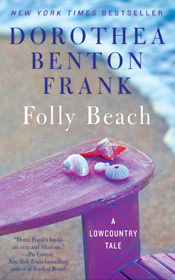 Folly Beach, South Carolina, with its glistening beaches, laid-back Southern charm, and enticing Gullah tradition, is the land of Cate Cooper's childhood, the place where all the ghosts of her past roam freely. Now, thanks to a newly deceased husband whose financial and emotional perfidy has left her homeless and broke, she's returning to this lovely strip of coast. When Caroline Wimbley Levine returned to Tall Pines Plantation, she never expected to make peace with long-buried truths about herself and her family. Her late mother, the Queen of Tall Pines, was a force of nature, but now she is gone, leaving Caroline and the rest of the family uncertain of who will take her place. 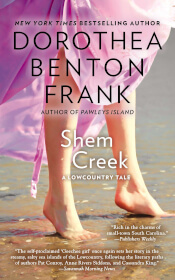 In the lush South Carolina countryside, old hurts, betrayals, and dark secrets will surface, and a new generation will rise along the banks of the mighty Edisto River. Newly graduated from college, Beth Hayes must put all her grand ambitions on hold when the family elders elect her to house-sit the Island Gamble, ghosts and all. Instead of conquering new worlds, Beth will rest and rejuvenate while basking in memory and the magic of white clapboards and shimmering blue waters. 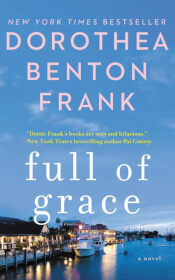 But there is much about life and her family's past that she does not yet understandand her simple plans begin unraveling with the intrusion of developer Max Mitchell. Still, everything here happens for a reasonand disappointment, betrayal, even tragedy are more easily handled when surrounded by loving family and loyal friends. After twenty years, Elizabeth "Betts" McGee has finally managed to put her past behind her. 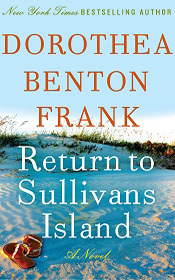 She hasn't been home to beautiful South Carolina and untouched Bulls Island since the tragic night that ended her engagement to Charleston's golden boy, J. D. Langley. And why is that? Really, this is the story of two old Southern families. The Langley family has more money than the Morgan Stanley Bank. And they think they have more class. The Barrett family made their nineteenth-century fortune in a less distinguished mannercorner grocery stores and liquor stores. It's no surprise that when J.D. 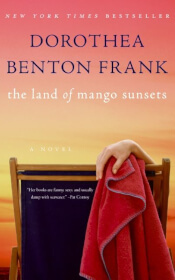 and Betts fall in love and decide to marry their parents are none too pleased. And when the love affair comes to an end, everyone is ready to place blame. Her sleazy husband left her for a lingerie model who's barely more than a teenager, and her kids are busy with their own lives. But before Miriam Elizabeth Swanson can work herself up into a true snit about it all, her newest tenant, Liz, arrives from Birmingham with plenty of troubles of her own. And then Miriam meets a man named Harrison, who makes her laugh, makes her cry, and makes her feel like a brand-new woman. Theodora is the matriarch of a family that has grown into a bunch of truculent knuckleheads. While she's finally gotten them all together in South Carolina to celebrate, this Christmas looks nothing like the extravagant, homey holidays of her childhood. What happened to the days when Christmas meant tables groaning with home-cooked goodies, over-the-top decorations, and long chats in front of the fire with Pearl, her grandmother's beloved housekeeper and closest confidante? 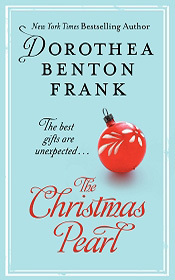 Luckily for Theodora, a special someone who heard her plea for help arrives, with pockets full of enough Gullah magic and common sense to make Theodora's Christmas the love-filled miracle it's meant to be. Hilton Head, a South Carolina retirement heavenat least it's supposed to be, but for Big Al and Connie Russo, the move from New Jersey to this southern paradise has been fraught with just a few complications. Especially for their daughter, Grace. Well, that's what she likes to be called. Her family insists on Maria Graziella. Seriously, enough with the Neapolitan. That might have been okay in New Jersey, but now it's just plain silly, and Grace at thirty-two is, horror of horrors, still unmarried. No wonder her family drives her crazy. Well, that and the fact that she's living with the man she would marry if they both weren't so commitment phobic. Michael is a doctor and a scientist and Grace is pretty sure he's also an atheist. Over the years, Grace has become a bit ambivalent about her faith, but her family is as old-fashioned Italian as they come. So the stage is set for a major showdown that just might change Grace's outlook on life, family, and the New South. 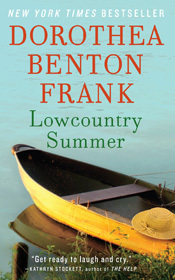 With characteristic humor and a full cast of eccentric and wonderfully lovable characters, Dorothea Benton Frank delivers a refreshingly honest and funny novel about an artist who suddenly enters the complacent lives of several Lowcountry locals - and turns them upside down. It's a twist-filled tale of friendship, family, and finding happiness by becoming who you are meant to be. Set off the coast of Charleston, South Carolina, Anna Lutz Abbot thinks she has her independence, and therefore her happiness, intact. She is a capable woman, a sensible woman, not someone given to risky living. 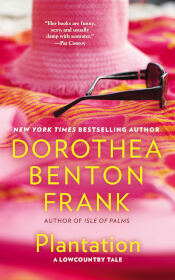 This all seems true enough until her lovely daughter returns from college for the summer a very different person, her wild and wonderful ex-husband arrives, and her flamboyant new best friend takes up with her daddy, turning a hot summer into a steaming one. All the action unfolds under the watchful eyes of Miss Mavis and Miss Angel, her next-door neighbors of a certain age, who have plenty to say about Anna's past, present, and future. Linda Breland has no experience managing a restaurant, but then neither did Brad Jackson, and he owns the place. Meet Linda Breland, single parent of two teenage daughters. The oldest, Lindsey, who always held her younger sister in check, is leaving for college. And Gracie, her Tasmanian devil, is giving her nightmares. Linda's personal life? 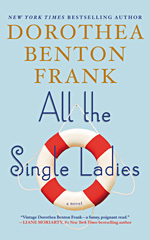 Well, between the married men, the cold New Jersey winters, her pinched wallet and her ex-husband who marries a beautiful, successful woman ten years younger than she islet's just say, Linda has seen enough to fill a thousand pages. Caroline Wimbley Levine always swore she'd never go home again. 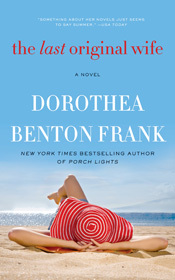 But now, at her brother's behest, she has returned to South Carolina to see about Motheronly to find that the years have not changed the Queen of Tall Pines Plantation. Miss Lavinia is as maddeningly eccentric as everand absolutely will not suffer the questionable advice of her children.